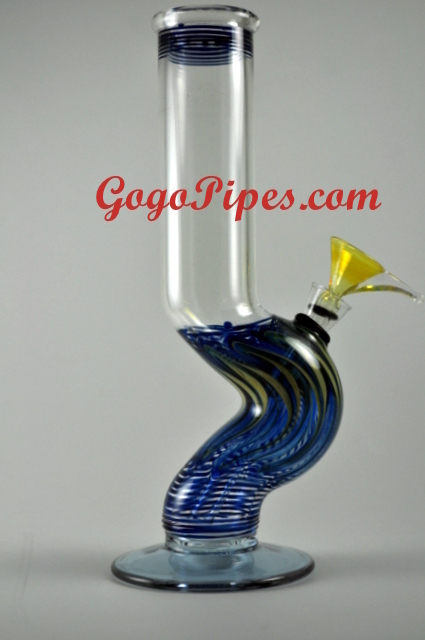 This pipe is�about 10 inch tall. 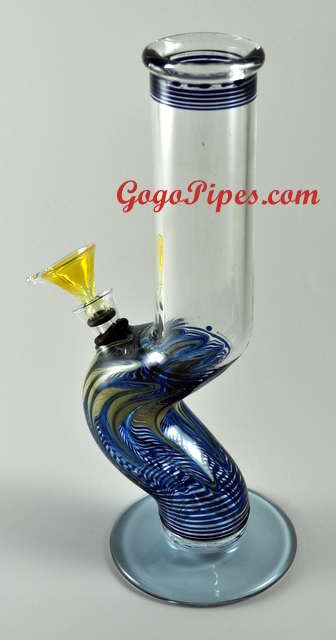 These glass hangrip pipes comes with 9mm slider. Pros: Easy to hold, not too heavy but very sturdy. Made well! Looks great! Easy to clean using the soaker products. Cons: I have found NONE. Comments: The picture does not do this piece justice! The base has a swirl of white mixed in with a beautiful green color. The bottom of the piece has a beautiful feather pattern in blue and white. I couldn't see this in the pictures shown on the website. So when I received it, I was surprised at how nice looking this piece really is. I just love it! Pros: Looks cool, hits good. Comments: This thing rips!!! This is my second time buying this. The first one I had to leave in hawaii when I moved back to the mainland. Pros: Hits nice and smooth. Very comfortable to hold, glass is perfect thickness. Highly recommend! Pros: The handgrip is nice! Size is just right! Like the color! Etc. Comments: Excellent quality for the $!! Comments: Order similar piece from another site that was 22in. only to receive email stating it was sold out. Gogo was my second choice. But from here out will be my first!